Condemning Islamophobia Promotes Human Values! The world has witnessed many dangerous events: violent “lone wolf” individuals, who are ready to commit bloody criminal attacks on civilians in the name of a religion, extremist groups, politicians; and persons who engage in hate and discriminatory smear campaigns, and people who attack citizens on the streets based on their faith and visible dress codes. Canada is witnessing a sharp increase in Islamophobia, which has even been described as an “epidemic” in certain large areas of the country. Citizens are aggressively and physically attacked on the streets, shopping malls, and community centres. Moreover, places of worship are being firebombed and vandalized. Islamophobic political campaigns have become very troubling, mainly during theelection periods. Furthermore, some media outlets add salt to the wound by becoming venues for anti-Muslim rhetoric under the justification of “freedom of speech,” which seems to be without boundaries and irresponsible when it comes to bashing Islam and Muslim citizens. On June 2nd 2010, The Canadian Muslim Forum (FMC-CMF) led delegations consisting of representatives, young professionals, activists, women advocates and others on Parliamentary Day at the Hill. The main objective of meeting the Federal parties’ caucuses on that day was to introduce and express concerns about Islamophobia, and its impact on Arab and Muslim citizens. From that day, the most noticeable remark was that most of the policy makers were not fully aware of the dangers of Islamophobia, and its implications on Canadian society. After a long and, at times, very hard journey, Islamophobia is currently recognized as a harsh reality that needs a strong political will and social awareness to undertake, engage in, deal with and find concrete solutions and remedies to cure such an “epidemic” phenomenon and terminate its harmful symptoms from the society at large. All human beings deserve to live in peace and safety. Attacking women because of their visible faith as they stroll around a shopping mall or take the metro to school or work, denying jobs because of a candidate’s name and background, and vandalizing community and religious properties should stop once and for all. Such aggressions are against woman’s rights, human dignity and the integrity of Canadian society. 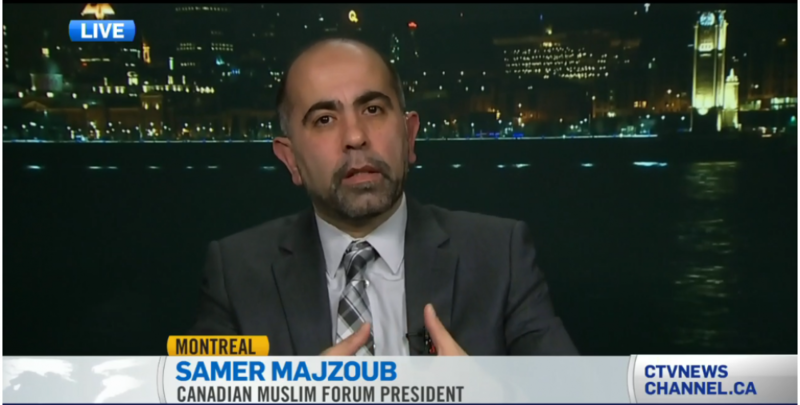 This entry was posted in article and tagged (FMC-CMF), anit-Islamophobia petition, Canadian Muslim Forum, Canadian Muslims, Condemning Islamophobia, Descrimination, Forum Musulman Canadien, Frank Baylis, hate speech, Islamphobia, petition e-411, petition411.ca, Quebec Muslims, Samer Majzoub by samermajzoub. Bookmark the permalink. Yes, Islamophobia must be condemned. I fully agree.